Sir John Banham is best known as the ex-Director General of the CBI and has chaired some of Britain's most successful businesses, creating more value than any other FTSE leader. Sir John Banham's career started in the Foreign Office in 1962 after gaining a first class Honours Degree in Natural Sciences. He spent a year with J Walter Thompson in 1964, and the moved to Reed International, where he became Director of Marketing. In 1969 John Banham joined McKinsey & Co, becoming a Principal in 1975 and the youngest ever British Director in 1980. During this period he gained wide industrial experience in the UK, the USA and Europe. He was directly responsible for major consultancy assignments with a variety of leading UK companies in engineering, aviation, food processing, mineral extraction and other manufacturing and service groups at critical stages in their development. Sir John Banham was the first Chief Executive of the Audit Commission when it was established in 1983. The Audit Commission was set up to monitor efficiency and seek better value for money in local government. Under Sir John's leadership it identified improvements worth over £2 billion a year and launched a range of reforms now being implemented in local government finance including the management of secondary schools, council housing and community care. In 1987 he left to become the Director General of the CBI, a position he held for five years In 1992 he became the first Chairman of the Local Government Commission for England. This resulted in the creation of 48 new unitary authorities in England, and the restoration of the historic boundaries of the Counties of the East Riding of Yorkshire, County Durham, Gloucestershire, Lincolnshire, Somerset and Rutland. 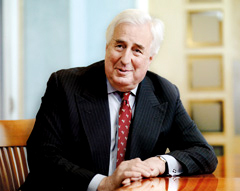 Between 1998 and 2001 Sir John Banham was the Chairman of the Government's Retail and Consumer Affairs Foresight Panel. He holds an Honorary Doctor of Law degree from the University of Bath and an Honorary Doctor of the Science degree from the University of Exeter. He is an Honorary Fellow of Queens College, Cambridge and became the first Fellow of Cornwall College when it became independent in 1993. Sir John Banham has written numerous publications including The Future of the British Car Industry (1975), Realising the Promise of a National Health Service (1977), together with a number of reports for the Audit Commission on education, housing, social services and local government finance (1984-87). He has also co-authored many reports for the CBI on the UK economy, skills and education, transport, the infrastructure, urban regeneration, manufacturing (1987-92) and local government. In addition, Sir John Banham is the author of The Anatomy of Change: Blueprint for a New Era (1994). Sir John has, and still holds a number of top level positions at various companies including: Spacelabs Healthcare Inc, Cycacel Healthcare, Johnson Matthey PLC, AMVESCAP PLC. Merchant Trust PLC, Whitbread PLC, Geest PLC, ECI Partners LLP, Tarmac PLC and Kingfisher PLC. National Power and National Westminster Bank and Labatt Breweries.